Join the Shopee 12.12 Birthday Sale from 26 November! Even as shoppers are recovering from the Shopee 11.11 Big Sale there is no respite. Shopee is continuing to bring everyone even more deals as it celebrates with the Shopee 12.12 Birthday Sale. 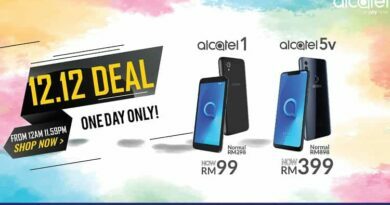 Look out for even more promos this time round including free shipping from RM12, 120% cashback every day, and daily RM12 deals from Shopee Mall. The online retail platform has also announced that BLACKPINK will be its first-ever regional brand ambassador. That, along with the fact that YG Group will be launching its official shop across five Shopee markets (including Malaysia on 26 November) means that K-pop fans will be able to access a range of official YG merchandise on Shopee. “As a young, talented and passionate group who has made waves in the international music scene, BLACKPINK is the perfect representation of Shopee’s brand values and spirit. 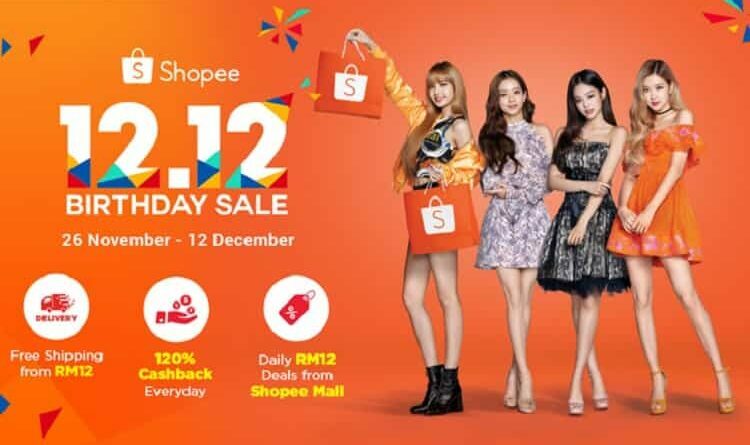 We look forward to working with them and YG Group to co-create exciting initiatives that can engage with, and bring Shopee users from all across the region together; starting with Shopee 12.12 Birthday Sale,” said Ian Ho, Regional Managing Director, Shopee. To mark its opening on Shopee Malaysia, users who purchase any item from the YG Official Shop from 26 November to 2 December will stand a chance to win an autographed BLACKPINK album. The sale will last for almost three weeks to enjoy nationwide free shipping from as low as RM12, 120% cashback every day, and daily deals from as low as RM12 from Shopee Mall. There will also be 12 rounds of Shocking Sale on 26 November and on three straight days from 10 to 12 December. Play the Shopee Shake in-app game as it returns for one last run in 2018 with millions of Shopee coins up for grabs. There will be deals from leading brands such as Philips, Fossil, MR DIY, Tefal, PETPET, L’Oreal Group, Watsons and more. Discounts of up to 90% off will leave you in tears as you shop (virtually) till you drop! Aside from the normal retail items, there will be some really special deals as well from some of Shopee’s industry partners, including FPX, BInfinite, Krispy Kreme, and Traveloka. For instance, Krispy Kreme will roll out limited-edition Shopee doughnuts to celebrate Shopee’s anniversary at all 17 outlets across Malaysia, while all users can enjoy three free original glazed doughnuts for every half-dozen purchased from 1 to 20 December. Shopee is one of the most popular online retail platforms in Malaysia, with traffic over the past month alone at an estimated 7,403,500 visits. 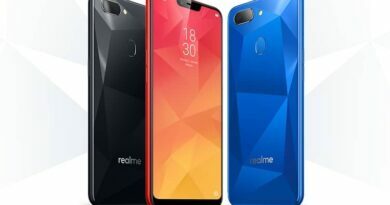 Some retailers such as Realme are beginning to benchmark their products in terms of popularity on online retail platforms. Realme has in fact just celebrated the 12,000 follower mark on Shopee, attributing its success to the release on the Realme 2 Pro Android Smartphone.